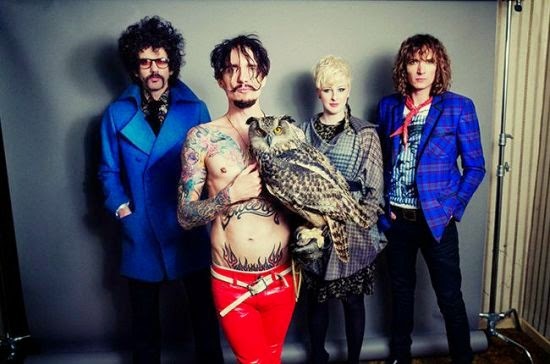 The Darkness released the audio of the track that will be on their next album. "Open Fire" is the second song of "Last of Our Kind" coming out in June. This will be the band's fourth album that mixes hard rock with glam rock of the 70s, and the second since their return in 2012. The song is somewhat different sound that popularized the band in the middle of the last decade. "Open Fire" somewhat resembles the sound Cult of the second half of the 80's and frontman Justin Hawkins is singing more restrained way, without exaggerating in falsetto that once made it famous. Despite the changes, the ability Darkness in creating immediate appeal of songs follows intact.